It’s the little things .. Sometimes it’s a smile. Or a ray of sunshine. Or a hug from your child. Or husband. Or a song. 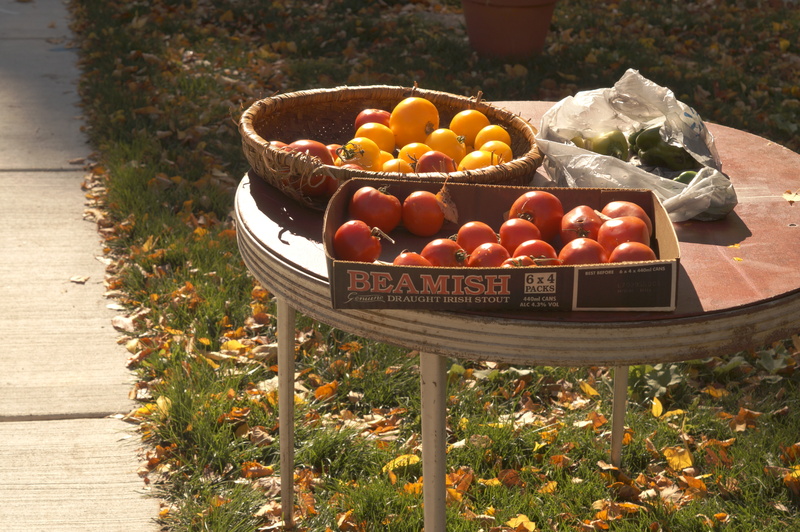 Often this fall, on the last leg of my jog through our neighborhood, there is a table sitting out with fresh tomatoes. Free for whomever shall come along and appreciate them. 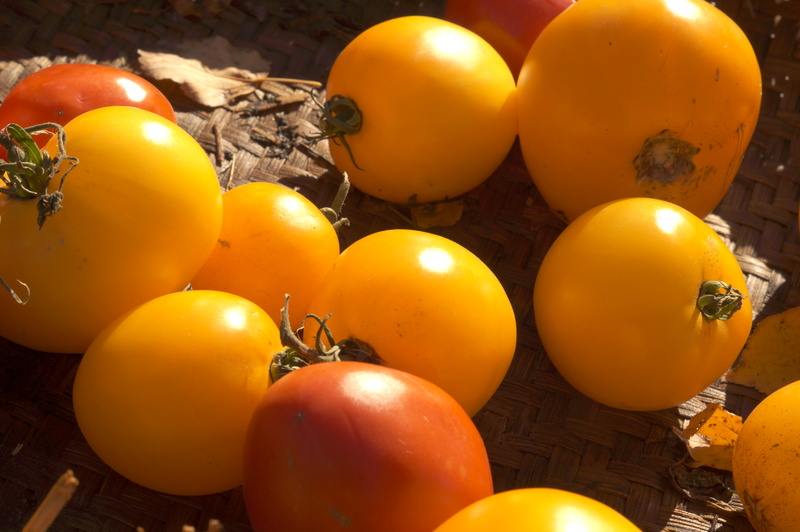 I on occasion will grab one red and one yellow because my crop for some reason this year, has yet to turn. And I fear it is all but too late for them to be anything but green. And I so enjoy fresh sliced tomatoes. I grabbed one of each again this morning. And smiled as I jogged the last leg of our morning run, home. I’m pretty sure the dog did too. This entry was posted in Uncategorized by Carleen Wild. Bookmark the permalink.